Commemorating the centenary of events of the First World War and the sacrifices of men and women throughout New Zealand has fostered a renewed sense of national identity and pride in our history. The number of people seeking information about relatives who served in the Armed Forces during this conflict has shown dramatic increase, as has the demand for replicas of the medals these people earned and the numbers of people visiting battlefields throughout Europe. The New Zealand Government designated six major First World War battles as having ‘National Significance’ to New Zealand thus warranting special commemorative services and high level diplomatic and political attendance. 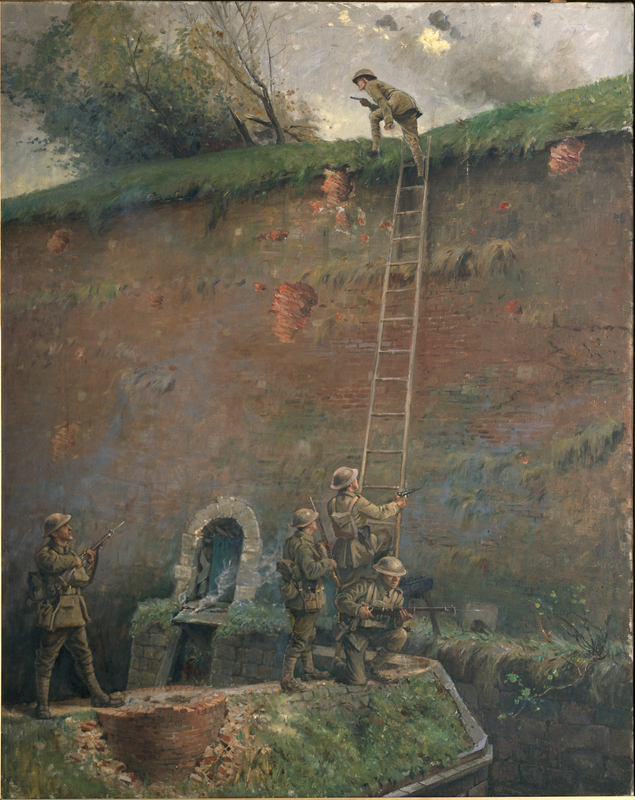 The final one of these commemorations was on the 4th of November 2018 – the Liberation of Le Quesnoy in Northern France by soldiers of the New Zealand Division. This commemoration has special significance for Cambridge. Lt Averill leads the assault at Le Quesnoy. The medieval walled town of Le Quesnoy was occupied by the German Army in the first week of World War I. The town was liberated by the New Zealand Division on the 4th of November 2018 in what has been described as a ‘text book’ infantry battle as they surrounded the town and forced the surrender of the garrison. The New Zealanders refused to bombard the ancient walls of the town and suffered over 450 casualties with over 130 soldiers (including one who had landed at Gallipoli) being killed in the battle but without the loss of a single French inhabitant or significant damage to the walls and ramparts which date from 1685. Many of these men had survived the sacrifice of the Division from the Somme to Passchendaele, only to be cut down within seven days of the 11 November Armistice. This sacrifice has led to an enduring admiration (almost reverence) for New Zealanders in the town. Streets and school classrooms are named after New Zealand provinces, there are frequent student exchanges, a designated New Zealand liaison office in Le Quesnoy, and long-term friendships and visits between individuals. In a speech during his visit to Cambridge in February 2017, the Mayor of Le Quesnoy was passionate in declaring that his town will ‘never, never, ever forget the bravery, determination, and sacrifice of the New Zealand soldiers in freeing his town’. Le Quesnoy is only one of a few towns in France to observe ANZAC Day. These services are attended by high level political, diplomatic, and military personnel as well as many New Zealand tourists who make a point of being in Le Quesnoy at this time. The assault on the inner most wall of the town was led by Lieutenant Leslie Averill who led a small group of Kiwi soldiers up a ladder to secure an entry into the town. A commemorative stained-glass window depicting the scaling of the walls at Le Quesnoy was installed in St Andrews Church Cambridge in 1923 as the Vicar of the time (Rev Mortimer-Jones) was a Padre with the New Zealand Division in Northern France. The ashes of Lieutenant-Colonel ‘Curly’ Blyth, one of the last survivors of the New Zealand Division’s attack on that day are buried in the rose garden at St Andrews. A visit to St Andrews is recommended in French tourist guides to New Zealand. The inextricable link between the two towns was formalized as a Sister City relationship in 1999 and is symbolized in Cambridge by an Armistice Service on Rememberance Sunday each year. The Armistice Service is the largest in New Zealand outside of Wellington and Auckland and is attended by national and local political leaders, diplomatic representatives from eight countries, as well as senior serving and retired military personnel from the New Zealand Armed Forces. As noted above, the centenary of the liberation of Le Quesnoy was designated as ‘an event of National Significance to New Zealand’. In mid-2016, the Le Quesnoy Sister City Committee invited the Cambridge Brass Band to attend the commemorative events being planned for November 2018. This invitation was accepted and the band played at a number of engagements in Le Quesnoy as well as having an enjoyable time. The development of a New Zealand Memorial Museum in Northern France to Commemorate the New Zealanders who served in Europe in two World Wars has been a long-term concept. It was announced during the Mayor of Le Quesnoy’s visit to Cambridge in February 2017 that the French Government had made an appropriate building (the old Gendarmerie and former mayor's residence), in Le Quesnoy available to New Zealand for conversion into this Museum. The fundraising campaign for the Memorial Museum was formally launched in St Andrews Church, Cambridge on 14 July 2017. The Cambridge Brass Band featured significantly in this event. The museum was opened during a ceremony on the 4th of November 2018 with the band present providing the music. It is a work in progress, a lot of work remains to be done. On the site there is additional accomodation that is tobe developed into self catering appartments for visiting new Zealanders. Further into the future there are plans to extend the museum with a new build seperate building. Cambridge Brass Band in front of the New Zealand War Memorial Museum. 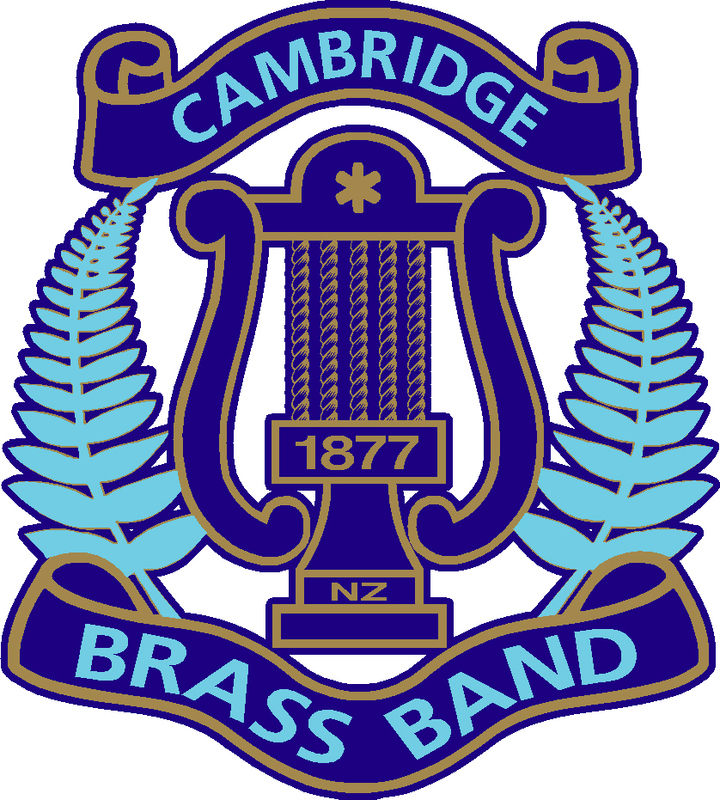 The Cambridge Brass Band is one of the oldest community bands in New Zealand having been formed in 1877. The Band is an integral element of the ceremonial and cultural life of Cambridge and has an average playing strength of 31 musicians currently ranging from 7 to 84 years of age. In 2016 the Band Committee established an Auxiliary (‘Learners and Returners’) Band when a number of younger players sought to join the Cambridge Brass Band but were not proficient or confident enough to play with the Senior Band. Three Senior Band members volunteered to run an ‘Auxiliary Band’ under the leadership of our Principal Cornet player, Rob Hocking. At the Auxiliary Band’s first practice in February 2016, there were seven novice players (all under 15 years of age) supported by three parents who also play in the Senior Band. Over the past 12 months, the Auxiliary Band has grown to have 15 regular players under 15 years of age as well as two ‘returners’ – a total of 20 players together with four supporting / tutorial players from the Senior Band. In September 2016, the rapidly expanding Auxiliary Band opened a concert at a local Retirement Village, and impressed the residents with their ability and the range of music that they presented. This concert concluded with two of the young players being formally promoted to play with the Senior Band while simultaneously remaining as members of the Auxiliary Band. Eight of the Auxiliary Band members now regularly play with the Senior Band. Cornets, Percussion, and Trombones at the Don Rowlands Centre, Karapiro, February 2017. During December 2016, the Auxiliary Band presented fifteen concerts at resthomes and retirement villages around the Cambridge and Putaruru areas. Many of these young players also played at the Christmas Parades in Cambridge and Putaruru, and at the Cambridge Christmas Festival. In February 2017, the Auxiliary Band played a pre-lunch concert for a delegation of visitors from Le Quesnoy which was held at the Don Rowlands Centre at Lake Karapiro. The young players delighted their audience who responded with cries of ‘formidable’ and ‘tres magnifique'. In November 2018 both bands travelled to France for the Le Quesnoy Centenial Liberation Commemorations. The Auxiliary Band played at two resthomes and a school. The Senior Band played at the opening of the New Zealand War Memorial Museum and both bands at a the "Music from the Uttermost Ends of the Earth" concert in Le Quesnoy. The soldiers of the New Zealand Division who liberated Le Quesnoy were commonly refered to as coming from the "uttermost ends of the earth", which is also enscribed on the New Zealand Division Memorial on Messines Ridge.